ARE YOU A FARM BLOGGER? 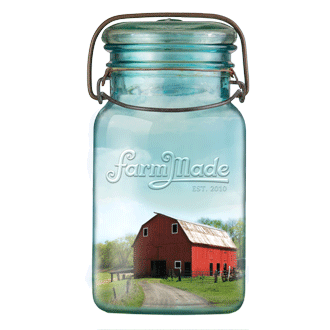 We, at FarmMade, are all about the farm love and encourage any and all farmers, ranchers and homesteaders to submit their stories! Writing stories, poems and songs is a “tradition of old” for farmers. Whether it was to bide time out in the field or add beauty to their every day, many a farmer recorded their musings. Topic of particular interest you would like to blog about. If you have a farm website, please include that, also. Kick up your boots and wait for us to review your farm submission page. If the boot seems to fit on our end, you will be contacted for a writing/photo sample. Upon review, If both our boots fit just right, we will send you more specifics about writing format (refer to our blog) and photo size requirements. We are UNABLE to compensate farmer bloggers monetarily at this time. We ARE ABLE to provide a down-home, wholesome platform to market your farm and the unique, traditional farm product your farm makes. 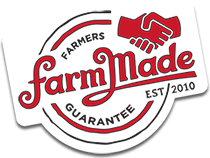 All FarmMade Farm Partners, will have the ability to add live links at the end of their blog post, marketing their farm website and/or e-commerce store. Please note that we appreciate any and all interest. But, we only have so many “guest farmer blogger” opportunities throughout the year and cannot accommodate everyone. If you are not chosen, we apologize, and hope you will support us anyway. Farmers need other farmers and we are here to create a support system in any way we can. We encourage you to do the same!